that tiny photographer: We made a space for you. I've never really had a nursery. I've always just carved out a little space for my babies. I like to have them close to me so that I can easily nurse them at night and make sure they are still breathing (I couldn't tell you how many times I've put my finger just under their nose to feel that little breath). They sleep in a little cosleeper all swaddled up until about four months when they get too big and start rolling over. Then the go to a crib that is typically in our room from 4-6 months. They have all been weaned at night by that six month mark which means they are sleeping through the night and can move into a bedroom with their siblings. I've never bought a new crib. I've really never given style of crib much thought until this baby. 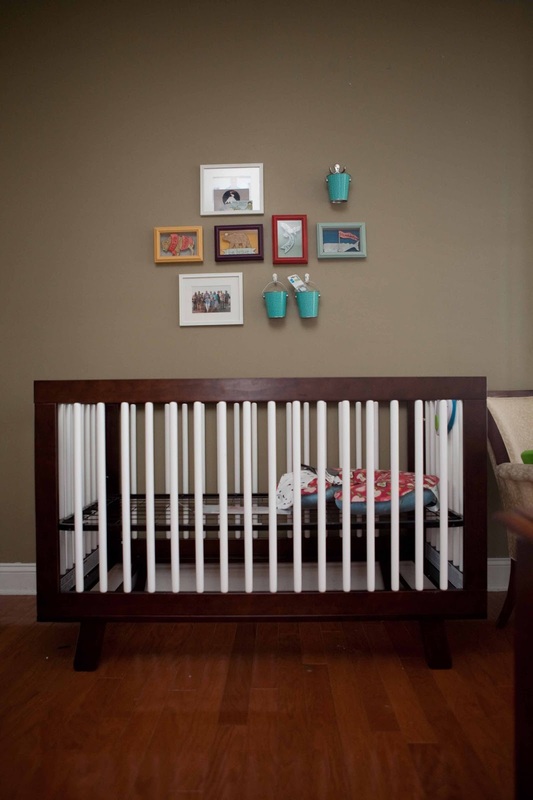 I'm all about mid-century modern furniture these days, and I wanted a cool, clean line crib. 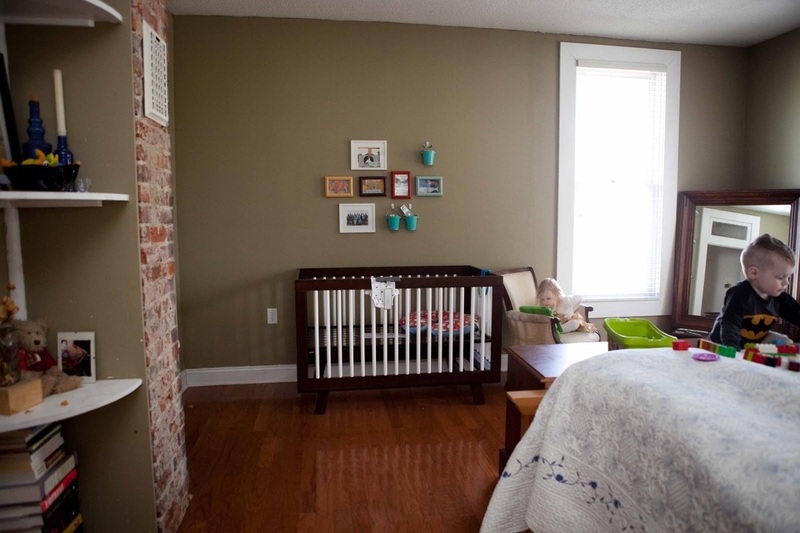 When I first started looking for cribs that fit this discription, I was overwhelmed by the prices. The one that first caught my attention was over $900. Um, no. That wasn't happening. I also noticed that most baby stores weren't selling these cribs. I was going to have to buy online. I found this one on Amazon. It was originally $400. I tried to talk myself out of it. Wouldn't it be more practical to buy bunk beds for Maggie and Schroeder and then use Maggie's crib for Penuly? 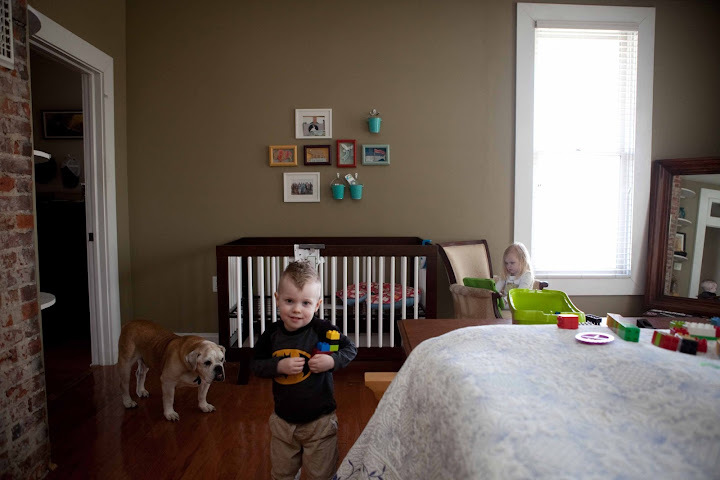 But Maggie's crib/toddler bed was the same crib I purchased used for Julian almost seven years ago! I was finally pushed over the edge when I looked online one day and found the crib on sale for $269. Stephen's mom had given me $100 towards the purchase. When I was checking out, I discovered that I had $116 in Discover Rewards points which you can automatically apply to your purchase. Shipping was free so I paid $53 out of pocket. I won't say it was meant to be or The Lord wanted me to have it. I'll just say it was a good deal and I'm so enjoying looking at it and picturing our little laying in it. I also picked up some gender neutral onesies. 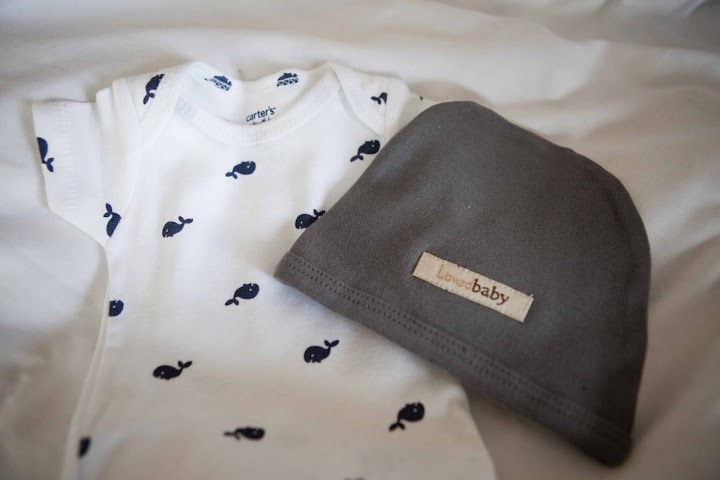 Since both names make me think of the sea, Ulysses or Penelope will don this whale onesie and sweet hat on their first day. Schroeder called the hat fancy. Both are newborn size so hopefully they fit for at least a day! So Penuly, whenever you get here, we've made a space in our home, lives, and hearts for you.